Dual Ball Bearing GT25R Turbo assembly with internal wastegate assembly. .64ar turbine with 5 bolt exit. Very very Good response turbo for 4 Cyl applications. 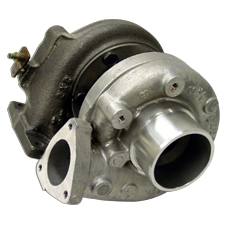 This turbo has a flow capacity of about 240HP.